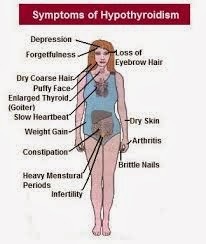 Hypothyroidism is a state in which the thyroid gland does not produce a sufficient amount of the thyroid hormones thyroxine (T4) and triiodothyronine (T3). 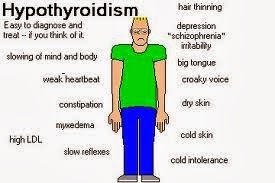 Iodine deficiency is often cited as the most common cause of hypothyroidism worldwide but it can be caused by many other factors. It can result from the lack of a thyroid gland or from iodine-131 treatment, and can also be associated with increased stress. Severe hypothyroidism in infants can result in cretinism.